The main source of nectar is Shinjur also known as Wild olive or Russian Olive. 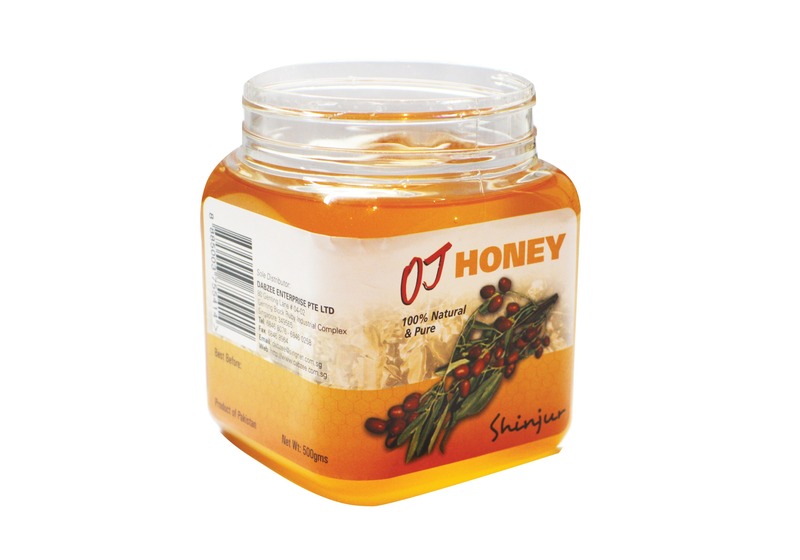 O&J Honey is Organic and it has unique medicinal qualities. It comes from Chitral, North west Pakistan, located in the rugged range of Hindu Kush Mountains. Shinjur is good for the throat, enhances Immune System, strengthens the Heart and vital parts of human body, maintains healthy blood pressure and cholesterol. Alleviates skin conditions such as Acne, Eczema and Dandruff. Also increase metabolism which promotes Weight loss. Good for Digestion, Constipation, Cold and Cough, Healing Burn Wounds and many more applications. Kindly refer to the Brochure included for details.